SmartSheet is a collaboration and work platform for small businesses. Features include calendars, forms, dashboards, and portals. Businesses use SmartSheet to improve collaboration and workflow across organizations. Pros: It is affordable and user-friendly. Cons: Lacks data filtering functionality. Bottomline: SmartSheet is a flexible, easy-to-use tool for collaboration. It is particularly helpful as a project management solution, too. What is SmartSheet's price range? SmartSheet's standard plans range from $14.00 to $25.00 per month. 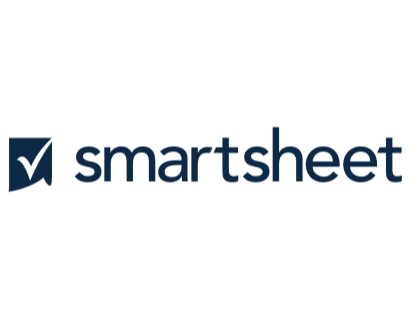 If you want an Enterprise or Premier plan, you can contact SmartSheet to get a quote. Is there a SmartSheet free trial? SmartSheet offers a 30-day free trial on the website. Where can I find the SmartSheet login? Go to smartsheet.com and click "Login" in the top right corner of the homepage, or sign in directly here. What are some SmartSheet alternatives? I like Smartsheet. It's mainly for project management, however, it has the ability to track resources, budget, reporting, and even some level of community management. It's also relatively cheap and easy to use. Yes I tried Smartsheet extensively and I honestly thought it was the best one. I configured it with zapier to send notifications, but I found out the app is capable of sending e-mails only to my google account, while my wish is to notify a given group of e-mails or single e-mails with a reminder or an update. I know I can send a single line through e-mail and ask a resource for updates on specific tasks, but all these features requires some sort of registration from the users, which is a thing I'd prefer to avoid to keep it simple.